Tracey Richards, Team Leader of Mantracourt Manufacturing talks about how quality is integral to her role and how her electronics career has taken her from photocopiers, to military equipment, to industrial instrumentation. I will start off by telling you all a bit about myself. I have been at Mantracourt since 2011. When I started, my role was to be the team leader for our standard product line of instrumentation and I am now the team leader of the Mantracourt manufacturing team. There are 12 people in our team. I am responsible for the quality of products leaving Mantracourt. Also, sub-assemblies we receive from our suppliers, training, day to day running of the department, manufacturing instructions, equipment and new procedures and techniques that become available. Most of my working life has been in the Electronics Industry. My first job was at Rank Xerox, Welwyn Garden City. Although I was to be working in manufacturing, I had a two week training period. It was spent in a training room and we were not allowed to touch any product during this time. In truth it was a good job too. The programme for us was to learn how to identify components, resistor colour codes, component values, rework, track and pad repair, which has always come in handy and modifying PCBs. When leaving Rank Xerox, I went to work for Hocking Electronics NDT. Here I learnt how to wire wind probes and work to MOD standards. As I continued my working career I always went somewhere where I would improve my skills and knowledge. I can work to IPC-A-610 Class 3. My experience comes mainly from working in the Military, Medical and Aerospace industry. The training of team members at Mantracourt is of the highest standard and we work to IPC standards Class 2. I undertake all training to staff on an ongoing basis as and when new techniques change. I encourage the team to learn from each other. We regularly talk about processes and lessons learned and ideas for regular reviews. We operate a Quality Management System where all equipment has to be documented and records of calibration and any testing that has taken place is stored. Drawings, tests, rework, are all recorded. We have regular internal audits, which includes ESD (Electrostatic Discharge) checks to benches and floors, which are checked monthly. A personal ESD check, which includes correct footwear and the use of wrist straps, are done on a daily basis. I make sure everyone is working within a safe environment. At the end of the SMT (Surface Mount Technology) line we have an AOI (Automatic Optical Inspection) machine that most of our products go through. This inspects the boards for misplaced components, dry joints, correct orientation and correct component ID. We also carry out visual inspection on all products to check the final quality before shipping. We take quality very seriously and as a team leader, maintaining quality is my most important job. We are ISO9001 certified and manufacture ATEX approved and RoHS compliant products. Here are some interesting statistics. The team and I are very proud of what we achieve. Manufacturing is a precise business and I am very proud to work with such a great team that help to produce the high quality products that we are renowned for. For me personally, and this is what I ask my team to keep in mind – if you were going to buy one of our products with your own money, would you buy it? Even though I don’t deal directly with our customers their requirements are first and foremost. On a closing note, one of my team members overheard a conversation I was having with Rebecca in the sales department. At which point he said to me I had made two statements, one of which was impossible and the other which was totally true. The first statement was, “Just ignore me Rebecca” he said that’s impossible to do. The second statement was “I don’t know Rebecca” he said now that’s true. I suppose I can’t always be right…well not all of the time! 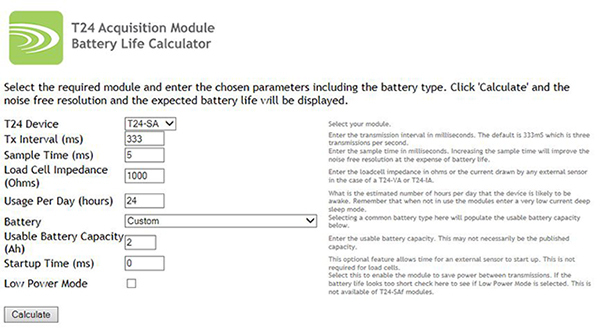 By simply selecting the required module and inputting your chosen variables into the calculator, you will be able to obtain a prediction of the expected battery life. My name is Fabian and I am twenty years of age. I started working at Mantracourt Electronics in November 2013 as an Electronic Manufacturing apprentice. When the opportunity came along to start an apprenticeship at Mantracourt I jumped at the chance. I have always been interested in technology and had worked on my own projects in my spare time, including fixing resisters and capacitors on iphones, PC’s and gaming consoles. To have the opportunity to do something that interests me where I could work and train at the same time with good job prospects was a dream come true. When I first started, one of my first tasks was to learn the basics of soldering different types of retrofit components and surface mounts components. Although a little daunting at first, this was a skill that I picked up very quickly. I also learnt how to rework circuitry; this is a particularly useful skill for moving components, if needed. I started practising on scrap boards until my team leader decided that I was competent enough to work on products. This was really exciting because when a board that I soldered passed test for the first time, my team leader was very impressed and I felt proud of myself. I was also taught about the effects of Electrostatic Discharge (ESD) and how to prevent it in the workplace. A month later I was learning a lot of new skills, such as how to use the EBSO machine (selective soldering machine). This was a great privilege because only certain people are trained on this and it felt great to have importance and responsibility in a job. I attend college once a week and am studying maths and science. I also learn about how to work with machines and different types of tools in the workshop. The workshop lesson is my favourite aspect because I am learning skills that are really useful at Mantracourt and compliment the in-house training that I receive. The best thing about working at Mantracourt is the fact that I am learning new skills and I have finally discovered something that I’m good at and enjoy, and the bonus is I get paid for doing it! It is also so rewarding to see the end results of a product that I have spent time on, finished and working and ready to go off to our customers. As an apprentice I will get the opportunity to work in all aspects of the business, including sales, marketing and with the design engineers. There is a great team of people here. As part of the in-house training and education I have worked with various products from our standard product range. An example is the SGA/D, which is a high performance signal conditioner, for use with strain gauges. It offers a wide bandwidth and a wide input signal range. This product starts by going through the SMT Line (surface mount machine), this puts all the surface mount components in their correct places. The next step is a high speed visual inspection by a machine that checks that each component is correctly located, checks for the integrity of the solder joints and can also identify if any component has an incorrect value. Once this is done it is moved over to the EBSO machine. This is where all the retrofit components are put into place and soldered with a small ‘wave’ of solder. The correct nitrogen levels are essential. We put four of these boards through on each run, and each run takes about 12 minutes. For every operation that is undertaken on the product you must mark off on the Product Database which stage it is at and how many products have been through this stage. This means that once the boards have been through the SMT line they must be marked off and inspected. 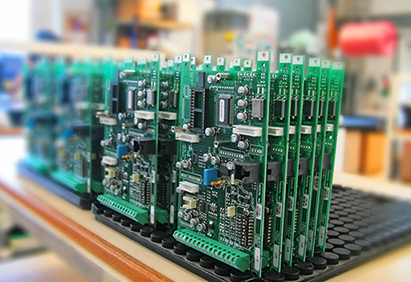 After the boards have been through all of the assembly processes it’s time for them to get tested. All products undergo rigorous quality testing and we have different methods of doing this, but they mainly undergo testing by the automatic test equipment system (ATE) using various jigs. Once the SGA’s have passed the ATE test they are then put into their respective cases and are transferred to the dispatch department, where they are put into stock, or packaged and sent off to our customers. I think the biggest challenge for me so far has been learning all of the different component names and learning where each component is stored. This took some time but now I am familiar with these…it’s just like riding a bike! My goals for the future are to learn how the entire organisation works, and to have first-hand experience of every aspect of the company. I would love to get involved with product design and create my own product for the company one day…. watch this space!!! I have had a lot of enquiries recently asking about our T24LOG100 software and how it can work for them, so thought this a good opportunity to discuss the main aspects of this incredibly smart piece of monitoring technology developed in-house by Matt Nicholas our IT and Software Guru. The latest version of our T24LOG100 instrumentation monitoring software includes advanced features such as a graphical / mapping capability and a facility for remote viewing via a web server. 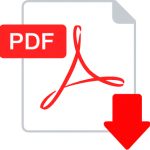 A variety of image formats including PDF, JPEG and DXF can be imported to incorporate into your project. 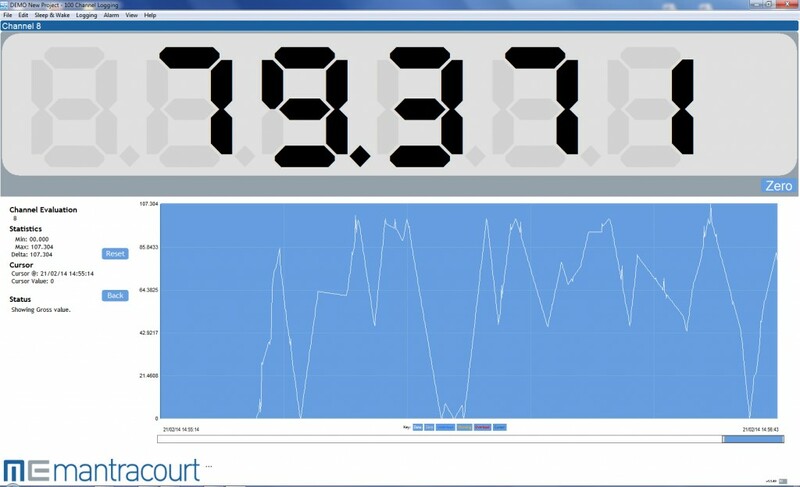 This innovative application facilitates a real-time monitoring system with simultaneous displays of load cell data presented as graphics on a visual representation of the structure on which the sensors are located. This display features “drag and drop” placement of customizable readouts, warnings and user definable “buttons” to toggle between pages, reset alarms etc. 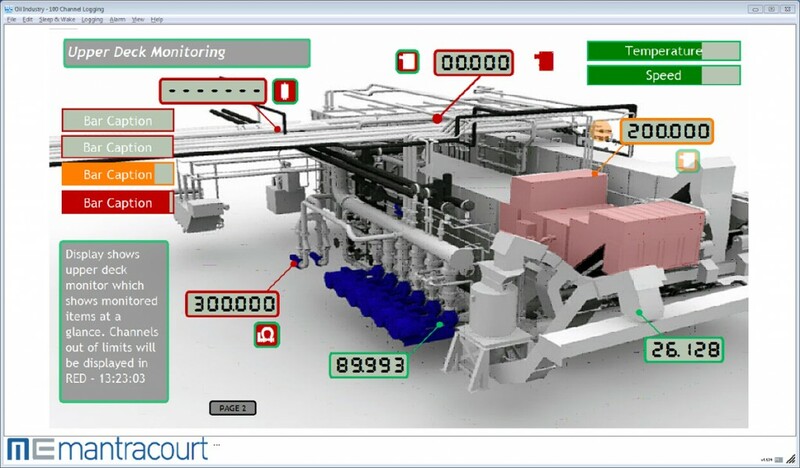 The use of a graphics background for the application offers a system which has the advantage of allowing a more intuitive and accurate response to the management of multiple and interacting loads. Up to eight pages can be defined and you can switch between pages. Clicking displayed values, which can be in the form of digital display or bars, takes you back to the ‘zoomed in’ view so you can quickly investigate values. The T24LOG100 software now has a built in web server to provide a summary view page to other computers, tablets, iPads and smartphones etc using a standard browser. This summary page shows all channels and error and alarm status. The new web server facility enables users to view the data online wherever they have access to their network. Users now have the freedom to monitor sensors and installations when on the move and on-site. The built in web server also allows you to add your own custom web pages. T24LOG100 software is a data logging package that can handle up to 100 channels of wireless instrumentation data simultaneously whilst also offering a range of sophisticated features that will enable users to optimise system monitoring. You can ‘zoom in’ on individual display channels to view detailed information on that channel along with 10,000 points of historic data. The T24LOG100 display is customisable and it can be branded with company colours and logo and licenced for distribution. Certain versions also come with the option of royalty free distribution to your customers. Designing instrumentation electronics for the amplification of small signals can present a number of challenges. Whether it is the electrically noisy world we live in, or our expectation that the equipment will work reliably under the bonnet of a car or in the North Pole, ‘real world’ electronic design is rarely straightforward. This blog discusses a few important design issues that impact upon the development of high quality instrumentation amplifier and signal conditioners. Ron Joyce, Design Engineer at Mantracourt explains more. The starting point of such an amplifier design may well be the choice of Operational Amplifier (op-amp) for the input stage. There is quite an array to choose from but choosing a device that offers a first gain stage with a low offset drift and low noise performance is crucial if the signal quality at the input stage is to be maintained. To further ensure signal stability, the ‘gain resistors’ within the op-amp circuit should be high quality components and have a temperature coefficient of 5ppm/°C or less. Where potentiometers are incorporated in the design to enable the amplifier to be calibrated, the range of trim they provide should be optimised for ease of calibration and to minimise the effect of their temperature coefficient which, by contrast could be 100ppm/°C or higher. There is a trade-off between allowing enough adjustment to compensate for transducer and electronic component variation and reducing the effect of the potentiometer’s relatively poor temperature stability in the signal chain. In practice the potentiometer should provide only the minimum amount of adjustment necessary to overcome the system variables, any more than this degrades the temperature performance and makes calibration difficult to set due to the excessive amount of adjustment on offer. A ground plane is an important feature when designing a PCB for a small-signal amplifier. This comprises a layer of copper that serves as a low impedance return path for the currents flowing from various parts of the circuit. This helps to reduce noise and ensure that all components within a system use the same reference potential when comparing different signal voltages. A ground plane also facilitates PCB design, the ground connection of any component can be directly routed to the ground plane by means of via holes without having to run additional tracks. In a similar way to the ground plane, when adopting a multi-layer approach, an internal power plane can be incorporated into the PCB design. Power planes can be placed on adjacent layers to ground planes creating a large parallel plate capacitor that helps to filter the power supply. The use of ‘guard tracks’ is recommended to reduce the effect of PCB leakage currents. The guard track surrounds a sensitive, high impedance area of the circuit (often the input pins of an op-amp) and is connected to a low impedance source at the same potential. Since there is no potential difference between the guard and the sensitive area no current flows and a barrier is formed to any leakage current across the surface of the PCB. Every PCB design includes unintended thermocouple junctions which modify the signal voltage due to the sum of the thermoelectric voltages generated. Such junctions are formed by two dissimilar conductors for example components soldered to copper pads, wires attached to PCBs etc. To lessen the effect, temperature gradients across the PCB should be minimised with the use of heat sinks and critical components should be grouped tightly together. Even the orientation of individual components should, where practical be taken into account by ensuring that their soldered ends are perpendicular to the direction of heat flow. Any thermoelectric effect will then be cancelled out. Another approach is to thermally isolate certain components by including routed slots or paths in the PCB. The goal is to create nearly constant temperatures in critical areas. PCB tracks that are carrying low voltage signals should be routed with care, avoiding noise sources. Track clearances and widths should also be considered. Finally, with regards to the PCB layout, it is important to observe good EMC procedures. For the accurate amplification of tiny signals, stray radio frequency signals need to be eliminated. The main problem is that unscreened high-gain amplifier circuits tend to act as radio receivers, picking up the radio frequency signal on resistor legs and PCB tracks etc – then amplifying them along with the instrumentation signal. This stray RF may be generated by electric motors, transformers or even electric lights. For this reason LC low pass filters should be included on all I/O lines and PCB tracks should be kept as short as possible. The use of surface-mount components helps in this respect. Ideally, a fully enclosed metal enclosure should be used to house the signal conditioning module with cable entries via EMC glands. If using a plastic enclosure, then some form of internal screening should be implemented. Naturally, all wire connections to the amplifier will need to be screened, especially on the input otherwise these wires will simply act as antennas. Careful choice of components and thoughtful PCB design are the main factors to consider in the design of low noise, low signal level amplifiers. Mantracourt is a UK based company that specialises in the design and manufacture of instrumentation amplifiers, load cell signal conditioners and wireless instrumentation systems. Introducing Version 2.0.3 of the T24 logging software which has been developed and upgraded with complex mathematical functions and expression tools. This software works in Windows XP, Vista and Windows 7 and allows the viewing and logging of data from the T24 wireless telemetry range. Matt Nicholas, IT & Software Engineer at Mantracourt explains more. The software now lets you define what is viewed in up to 24 simulated LCD displays by entering a mathematical expression. You can now sum multiple channels, perform mathematical functions and reference other displays. In versions previous to 2.0.0 one could only write a single Data Tag or, using a special function, write multiple Data Tags separated by the + sign to sum multiple Data Tag values. Each displayed channel now supports an expression. This expression can contain references to Data Tag values, other displayed channel values and mathematical functions. To reference a Data Tag value (That is the value delivered by a T24 module that is identified by its Data Tag) you enter the Data Tag in hexadecimal inside triangular brackets. So to refer to the data from a module with a Data Tag of FE12 you would use <FE12> in the expression. To reference the displayed value from another channel you enter the channel number inside triangular brackets. So to refer to the value displayed in channel 1 you would use <1> in the expression. Each displayed channel can reference any number of Data Tag values, displayed channels or fixed numbers and you can perform mathematical functions ranging from the simple to the complex. For further information on the T24 Logging Software visit our website or download the new version. Uo = 28V, Io = 100mA, Po = 0.7W, Barrier Impedance 300Ω. These are maximum values, actual barrier parameters will vary from model to model however the barrier impedance is not permitted to change. 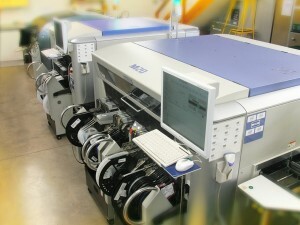 KFD2-STC4-EX1/2 (3-way isolated type) manufactured by Pepperl and Fuchs. The purpose of the barrier is to limit the amount of electrical energy that can be transferred into the hazardous area in the event of a fault condition thereby preventing the ignition of any flammable atmosphere that may be present. A simple passive barrier is shown but this can be replaced by an isolated barrier such as the P+F KFD2 mentioned above. These devices prohibit ground loops which may affect measurement accuracy and stability by providing three-way isolation between power, input and output. View the full specifications of the ALA5 ATEX load cell amplifier on our website. During the development of our new acquisition modules the measurement of tiny changes in resistance became key to get accurate readings and sensing small changes. In the creation of the temperature (T24-TA) and potentiometer (T24-RA) acquisition module we created two devices that sense a range of resistances. The T24-TA is designed to work with a PT100 sensor to accurately measure resistances from 20 to 250 Ohms, we provide an output in Ohms as a standard unit. The T24 wireless potentiometer acquisition module (T24-RA) is designed to measure potentiometers inputs between 500 and 100,000 Ohms. The standard wiring of the T24-RA is shown below in figure 1 connected to a potentiometer, figure 2 shows a potential divider circuit, R.ref is static known resistance and R.meas is the resistance under measurement. Using the custom calibration available in the T24-RA users can calibrate the output to whatever units they wish. View the full specifications of the T24-RA on our Mantracourt website. The SGA load cell signal conditioner has a built-in Shunt Calibration function. Switch 8 of the Span switch, SW1 switches a 120k resistor in parallel with one arm of the bridge to produce a known shift in the Zero point. After calibration, switch in the Shunt Cal feature, note the change in output then switch it out. Use this figure to periodically check the integrity and calibration of the system. The PCB is configured to easily allow the Shunt Cal resistor to be changed to suit your application and load cell impedance. The Strain Gauge Amplifier can be set to provide 5V excitation as well as the normal 10V level – switch off SW4/8. As well as providing excitation for a strain gauge bridge, this can be useful for supplying power to an intelligent sensor (80mA maximum). An IS1224 module can be fitted to the SGA/D to isolate the bridge and electronics from the DC power supply. This module features a wide 9-36V power supply range making it suitable for automotive applications and other portable installations.Isolating the power supply will prevent ground loops and help minimise noise pick-up. The SGA load cell amplifier’s mA output can support both ‘sink’ and ‘source’ modes of operation. ‘Sink mode’ can control current flow either from the SGA’s own 15V supply, an external 5-50V DC supply or a suitable PLC input stage. In this mode neither output connection is common to the load cell. In ‘source mode’ the SGA load cell signal conditioner provides the current which flows through the external load to 0V. This mode has the advantage that the load cell’s ‘EXC -‘, the SGA’s ‘Output -‘ and the power supply negative are all commoned together. The SGA has a built-in low pass filter adjustable from 1Hz to 5kHz to reduce noise or the effects of vibration in the measurements. The Strain Gauge Amplifier can support high impedance strain gauges such as pressure transducers. Its 0.1 to 30mV/V input range makes it suitable for a wide variety of applications. J2, the load cell connector provides a reference voltage of 2.5V or 5V depending on whether the excitation is set to 5V or 10V. Connect a mV source between this point and ‘+Strain Input’ to facilitate calibration from the load cell manufacturer’s published figures. View the full specifications of the SGA on our Mantracourt website.